So, this week I finished two new paintings. 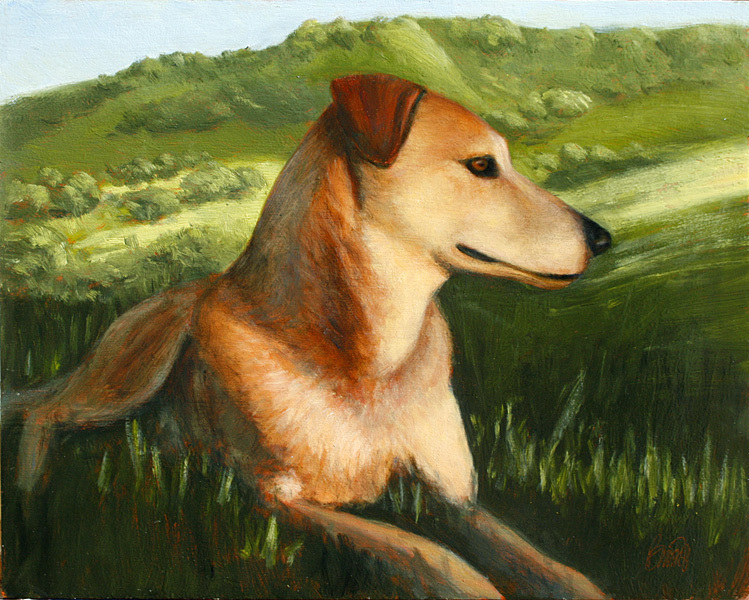 Simba was a commission of a family dog. The owner wanted outdoor scene, so I took the reference photo in the sun late in the day… in fact there were only fleeting moments left when I took the last shots. Then I added a background of some local hills to add to the drama of the scene. 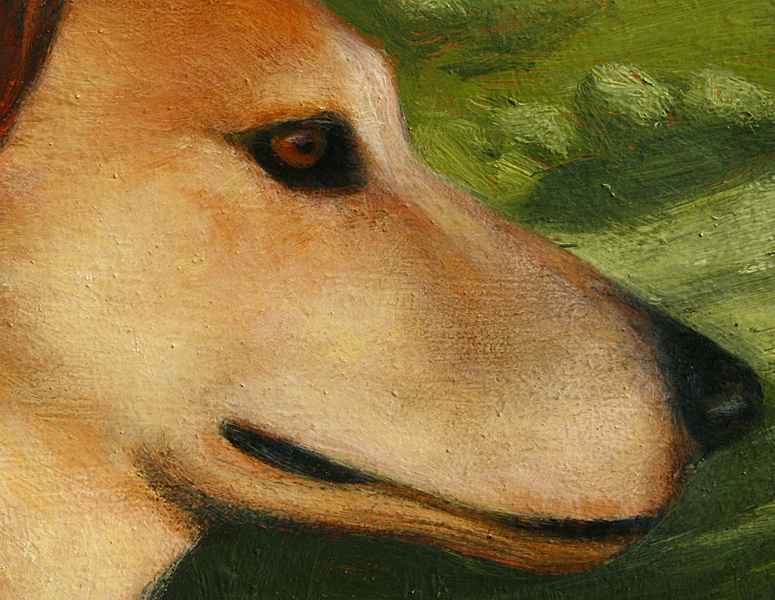 It is the second dog I have painted. The first is on a nursery wall. Very nice detail shot Rich, hmmm, I should find a picture of our cat that has apparently gone to the great beyond…I love it! Do you do Chickens?